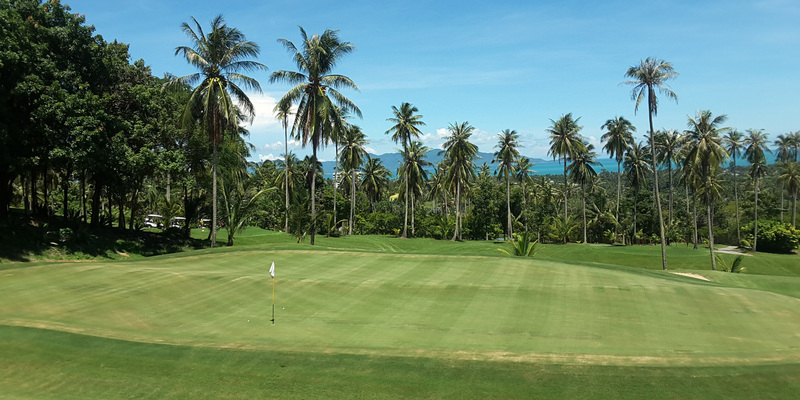 Koh Samui golf packages for Santiburi golf course and Royal Samui golf and country include transportation and rental golf sets, our packages are tailored perfectly to enable organization of your golf holiday to Ko Samui a relaxed one and a golf trip to remember. A member of our golf team is always available to assist you on any trip adjustments and at each golf course proshop registration to make your whole golf experience a pleasant one. 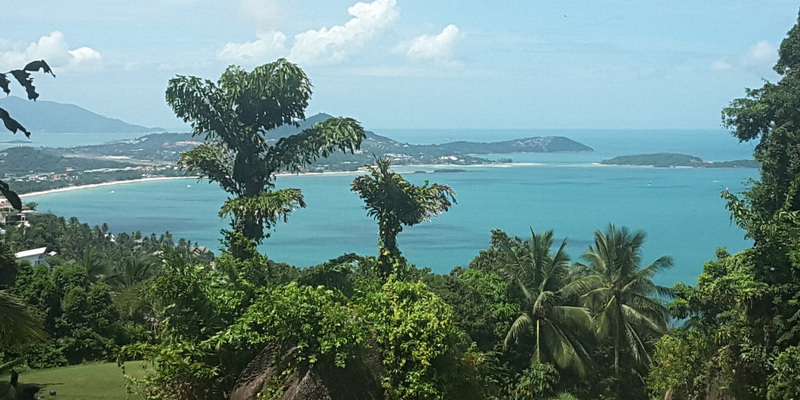 Koh Samui has risen in popularity and become a top holiday destination in Thailand with spectacular golf courses, fantastic beaches, amazing pagoda temples and Buddha status to visit. Select any of our Santiburi package rates below, our selection of rental golf equipment are suitable for all standards. All golf packages include green fee, cart and caddys at reduced rates, we can also include roundtrip transportation ready to return you back to your hotel or villa after a tough days golfing! If you prefer to use your own transport one of our golf team will organise to meet you and assist when arriving at either courses. Our packages are designed to make your golf trip an enjoyable one and hopefully a totally relaxed golf experience in Koh Samui. INCLUDES: GREEN FEE, GOLF CART & CADDY. INCLUDES GREEN FEE, GOLF CART, CADDY & R/T TRANSFER. INCLUDES: GREEN FEE, GOLF CART, CADDY, R/T TRANSFER & GOLF SET. R/T Transfers are calculated from Chaweng pick up. Rental golf sets are included in the “PACKAGE C”. For groups of more than 6 golfers please submit the enquiry form with your details for further discounts. 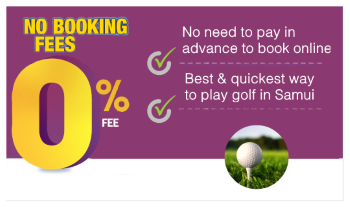 No golf booking fees, 0% credit card fees, No deposits required for golf bookings. PRICES FOR PACKAGE MONDAY & WEDNESDAY ONLY! INCLUDES: GREEN FEE, GOLF CART, CADDY & R/T TRANSFER. Rental golf sets are included in the “PACKAGE C36”. Includes transfer-hotel-golf course-hotel (Package B36 – C36). Includes Rain Check Policy (except on Weds). Receive 2,700 baht per person and choose a combination of 3 days during the week including a Wednesday. This package is only available when booking through Samuigolf.com Holidays. 1 caddy and one golf cart per golfer on three days. 2,700 Baht worth of discounts. Transfer-hotel-golf course-hotel (Package B – C). INCLUDES: GREEN FEE, GOLF CART, & CADDY. Rental golf sets are included in the “PACKAGE C54”. Includes transfer-hotel-golf course-hotel (Package B54 – C54). 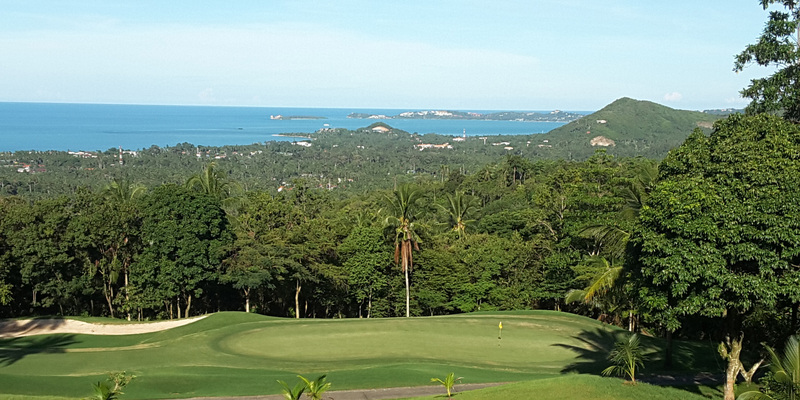 Royal Samui golf packages include green fee and cart, caddies are not available. Rates on this course are considerably cheaper and playing nine holes definitely will test of your golfing ability. To get to the golf course we recommend 4 wheel drive vehicles because of the mountainous location, if you prefer to take your own vehicle our staff will be at hand to greet you on arrival. INCLUDES: GREEN FEE, GOLF CART & R/T TRANSFER. INCLUDES: GREEN FEE, GOLF CART, R/T TRANSFER & GOLF SET. Golf carts are “highly recommended” – included in package fee. No caddy Available Royal Samui. 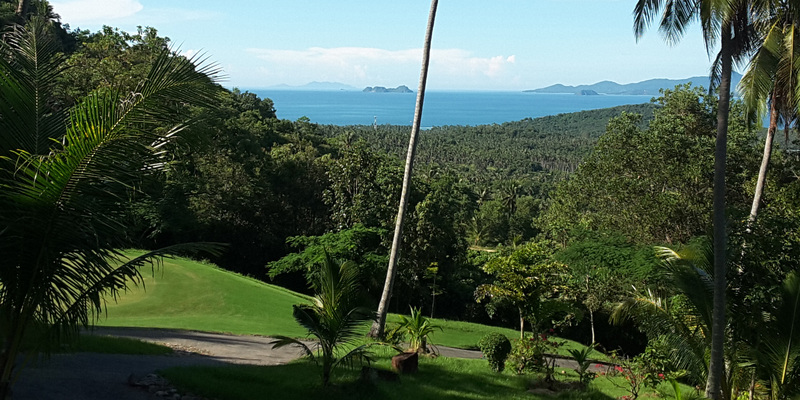 Road leading up to Royal Samui requires 4WD(our pick up is recommended). Royal Samui cart is included 1 pers 400 / 2 pers 500 share, (9 Hole). 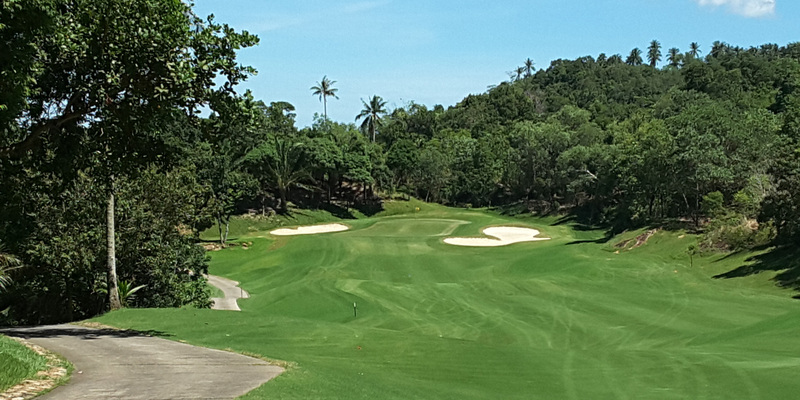 Royal Samui cart is included 1 pers 600 / 2 pers 800 share, (18 Hole). R/T Transfers are calculated from Pick up in Chaweng/Bophut/Lamai. Spectator wishing to join a golfer will be charged 200 baht entrance fee + cart fee 100 – 200 .